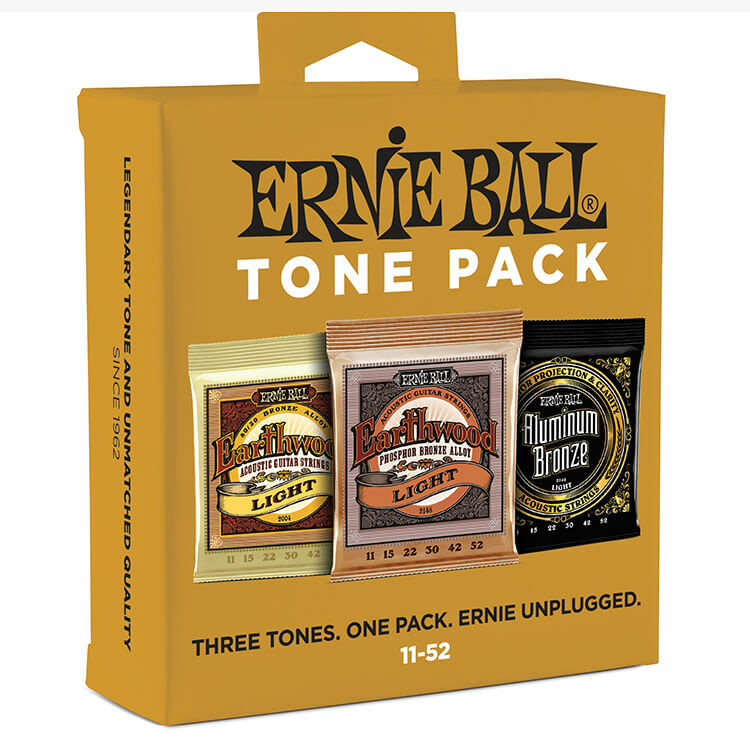 This Ernie Ball Acoustic Guitar Tone Pack includes one set of Earthwood 80/20 Bronze, Phosphor Bronze, and Aluminum Bronze strings in the same gauges so you can find the tone and feel that works best for you! 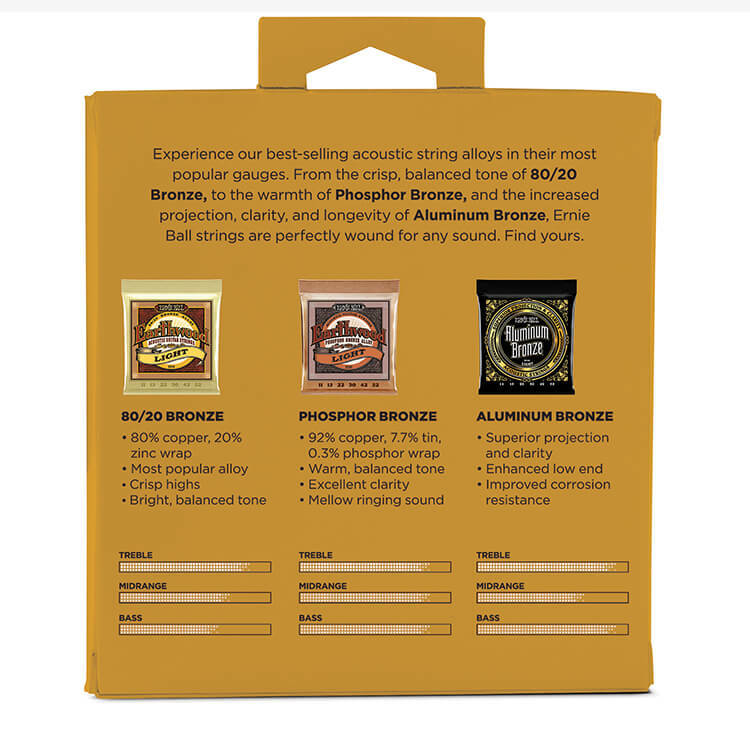 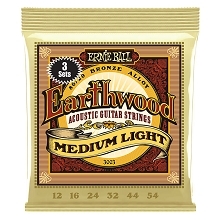 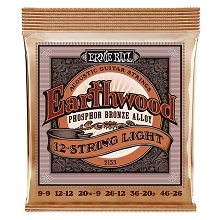 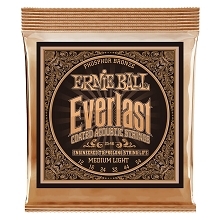 Earthwood 80/20 Bronze Acoustic Guitar Strings are wrapped with round wire alloy consisting of 80% copper and 20% zinc. 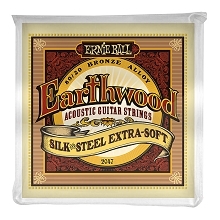 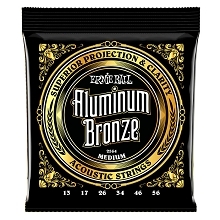 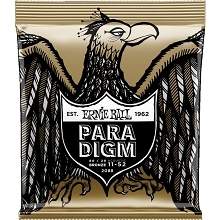 Ernie Ball Earthwood 80/20 Bronze Acoustic Guitar Single Strings wrapped around a hexagonal brass plated steel core wire. Earthwood 80/20 Acoustic Guitar Strings are crisp with great sustain and pleasing overtones.